Aquamarine is Construction & Development company based in Egypt with over ten years experience in the property industry. 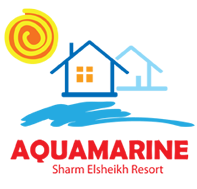 Aquamarine offers the opportunity of long term investment in proven locations, particularly in Sharm El Sheikh, Egypt with little amount of downpayment and guaranteed developer`s rental lease back of 7% for 3 years. With experienced staff our aim is to keep the process of buying overseas investment property as simple as possible.